Obituary for Jeannette K. Godeaux | Lumberton Family Funeral Home, LLC. 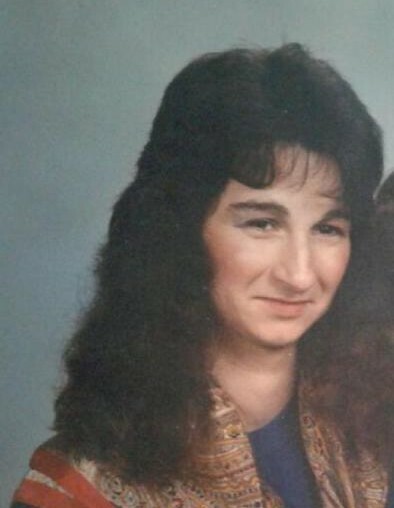 Jeannette Katherine Godeaux, age 56, passed from this life on Friday, April 5, 2019. She was born on July 20, 1962 to Oscar Godeaux and Carolyn Wimberley Godeaux in Beaumont, TX. Simple and strong, when you met Jeannette, you met her the way she was. She was transparent; her thoughts and her feelings were never a mystery to those around her. Selfless and passionate about the things and people that were most important, she was never too concerned with putting herself first, giving her attention and whatever she had, even the smallest of gifts, to the ones she loved. Family was most important, she loved her girls and was their biggest fan: attending every school event and important function; being there for every juncture of life; and pouring into them her giving and loving nature, always teaching them to “be happy, and do what makes you happy.” Jeannette had an extensive collection of romance novels, often carrying two or three with her wherever she went; she loved to read and spent countless hours at the library with her niece and godchild, Darby. Due to her Cajun heritage, music had a special place in her heart. Many mornings her daughters would wake up to music playing and mom grabbing them out of the bed to dance before school. Horses and horse riding were a passion for many years, owning them from a young age and passing that affinity on to her daughters. Over the years, Jeannette became a mother to many, often acting as a chauffeur for her daughters and their friends then later her nieces and grandchildren. She faced a trial in her life during 2007, when in six short weeks she lost her hearing. This changed her life and caused her to make many adjustments, but she stayed strong for her family and believed that she would get it back, refusing to learn sign language. Instead, she filled notebooks communicating with her family, prodigiously texted them and became exceptional at reading lips. She will be missed; though she is in Heaven, swimming in a pool of her beloved drink, Dr. Pepper, reunited with her dad and departed loved ones. Jeannette was dependable, undemanding and lived her life without pretense or complexity, and her memory of love and legacy of her pure, humble heart lives on through those she touched during her time on this Earth. Left to honor her memory is her mother; daughters, Chelce Smith of Vidor, TX and Ashley Loggins of Evadale, TX; sister, Jackie Andrus and husband, Buddy, of Vidor, TX; brother, Roger Heiss of Fort Smith, AR; extended sons-in-law, Will Smith of Vidor, TX and Cody Loggins of Evadale, TX; extended brother-in-law, Ronnie Reed of Vidor, TX; grandchildren, Bladen, Zane and Kinsley; nieces, Darby, McKenzie and Khloie; extended brother, Junior Martin; and numerous others that loved her like a mother. She is preceded in death by her father and sister, Deana McMahon. Visitation with family and friends will be 5:00 to 7:00 p.m., Wednesday, April 10, 2019, at Lumberton Family Funeral Home, 766 S. Main St., Lumberton, TX 77657. Jeannette’s life honoring service will be at 2:00 p.m., Thursday, April 11, 2019, also at the funeral home, with Bro. Joe Dougharty officiating.